I grew up right down the street from Millcreek Canyon. I often found myself up there for family campfires, hikes, Sunday drives, and bike rides. Actually, my first date with my sweetheart Bry was also up there in our favorite spot, picnic style. So, you could say my love for this canyon is real, folks. Desolation Trail is a must-see for your summer adventure list. I loved doing this hike in early June. I almost think the trail on the way up is just as beautiful as the view from the peak. It's super green, and there are wildflowers along the path. I would rank the difficulty as "moderate." It's 4.4 miles RT, and there are parts of the hike with some steep drop-offs on the side of the trail, and so I wouldn't recommend this hike for young children, unless you are carrying them up, or unless they're old enough to be responsible for staying on the trail. I did it carrying my nine-month old in my backpack, and ended up trail-running the entire thing down (not by choice) due to a a crazy rain/hail storm, and she did great in the backpack. A fun feature about this, is that you can take your dog, and there are usually a lot of hikers that have their dogs up there too. It's just a dog party. I would recommend starting this hike earlier in the day, rather than later, just because the top half doesn't have as much tree coverage as the bottom half. The view from the top is gorgeous, and it's fun to be able to overlook the Salt Lake Valley. Add it to your list! You'll love it. 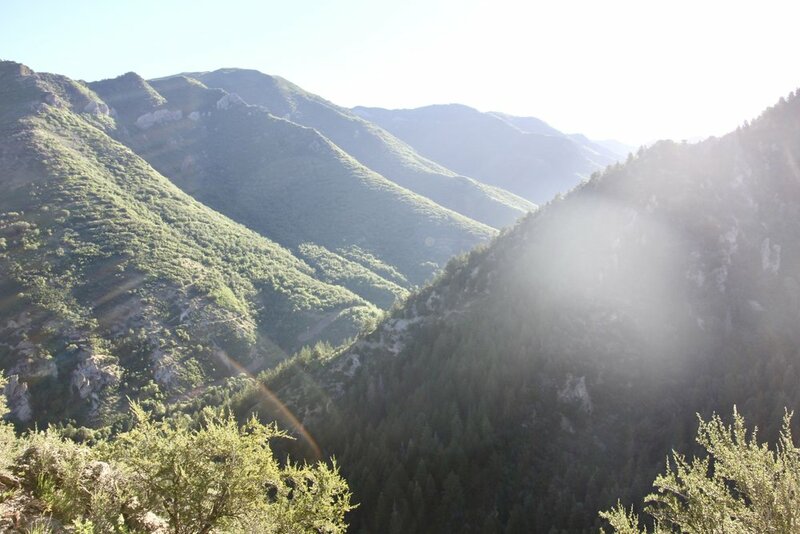 Millcreek Canyon is accessed from 3900 South and Wasatch Blvd. The trail begins on the right side of the road just after you see Millcreek Inn Restaurant (about 0.75 miles from the bottom of the canyon). There's a little parking lot and restroom at the trailhead.